Congrats, Malawi! Lonely Planet named the southern African country one of the top countries in the world for travellers in 2014 in its Best in Travel 2014 publication. Malawi ranked fifth in the list headed by Brazil and Antarctica, but comes ahead of the likes of Mexico and Seychelles. Best in Travel is produced annually by Lonely Planet as a guide to the top destinations, trends and experiences for the upcoming year. We just received notice via Proflight Zambia that Mansa Airport (IATA: MNS) in Mansa in Zambia's northern Luapula Province will be closed from 01 November 2013 for runway works. The airline has therefore canceled all fligths between Ndola and Mansa as well as between Lusaka and Mansa until at least 05 January 2014. Passengers already ticketed for flights to/from Mansa during the period 01 November 2013 to 05 January 2014 may apply for a full refund by sending their refund request to Proflight Zambia or change their flight to a later date without any change fees or penalties. Proflight Zambia is an airline in Zambia. The airline operates domestic flights in Zambia as well as regional scheduled services to Lilongwe in Malawi and Dar Es Salaam in Tanzania. Kruger National Park: SANParks appointed new restaurant operators! South African National Parks (SANParks) just apponited new operators for some of the restaurants and take-aways in the Kruger National Park. The restaurants in the Lower Sabie Rest Camp, in the Olifants Rest Camp and in the Letaba Rest Camp will be operated by Mugg and Bean. All three restaurants will be fully operational form March 2014. Also from March 2014, Wimpy will run the restaurants at Pretoriuskop Rest Camp and at Satara Rest Camp. 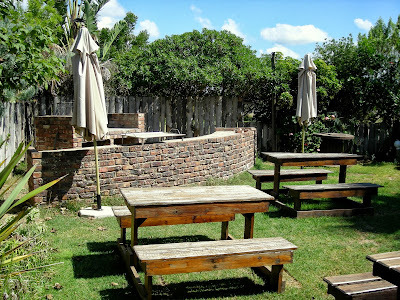 The Selati restaurant in Kruger National Park's largest rest camp, the Skukuza Rest Camp, will be operated by Ciao! and is expected to start operations already in December 2013, while the main camp restaurant and take away in Skukuza will be serviced by Cattle Baron and Bistro. Operations will start in May 2014 because of extensive refurbishment. Instagram is super popular with people from all walks of life. Sharing photos via the social networking service became somehow the personalised postcard 2.0+ over the last couple of years. At least for some. The short documentary "Rake us to Jozi" gives us an insight on the Instagramscene in Johannesburg in South Africa and allows us to get to know some of the most popular Instagramers of the city. Kudos Gareth Pon! Take us to Jozi with @igersJozi & @wearejuxt from Gareth Pon on Vimeo. The instagramers portrayed in the video are: @roywrench, @levonlock, @alessiolr, @unclescrooch, @paularoo & @garethpon! Cape Town in South Africa just got named the third best city to travel to in 2014 in Lonely Planet's Best in Travel 2014 Top 10 Cities list. Best in Travel is produced annually as a guide to the top destinations, trends and experiences for the upcoming year. Other cities on the list include Paris in France (#1), Trinidad on Cuba (#2), Riga in Lativa (#4), Zürich in Switzerland (#5), Shanghai in China (#6), Vancouver in Canada (#7), Chicago in the USA (#8), Adelaide in Australia (#9) and Auckland in New Zealand (#10). Lonely Planet says that the reasons for selecting Cape Town as one the Top 10 Cities in 2014 are that there is actually never a bad time to visit the city and, above all, that the Mother City will be the World Design Capital 2014. Enjoy Cape Town! 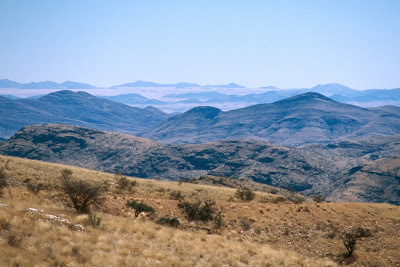 Namibia receives WWF's "Gift to the Earth Award"! The World Wildlife Fund for Nature (WWF) has recognised Namibia for its outstanding conservation achievements. 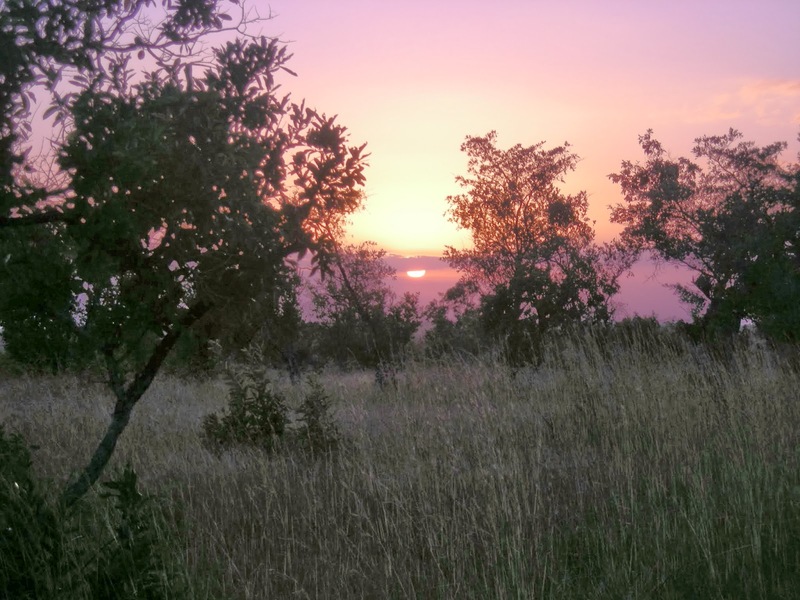 The global conservation organisation has, for the second time, honoured the country with the Gift to the Earth Award for its conservation successes. The prestigious award was received by President Hifikepunye Pohamba on behalf of Namibia during the official opening ceremony of the 10th Adventure Travel World Summit in Windhoek on 26 Oct 2013. The Gift to the Earth is WWF's most prestigious Award for governments, companies or public sector institutions. More than 100 Gift to the Earth have been recognized since 1996, including more than 60 major commitments by governments throughout the world. South African regional carrier, Airlink, announced that it will launch flights between Kruger Mpumalanga International Airport (KMIA) in Nelspruit and Vilanculos Airport (VNX) in Vilanculos in Mozambique. From 19 June 2014 the airline will initially operate two flights per week, with departures on Thursdays and Sundays. Airlink will also increase its current flights between Johannesburg and Vilanculos to a daily schedule in June 2014. Awesome news for all soccer/football fans in South Africa. The current world and European football champions, Spain, will come to South Africa to play a friendly international match against bafana bafana, South Africa's national team. The kick off will be on 19 November 2013 at 21.00 hours at the FNB Stadium in Johannesburg. The FNB Stadium, also known as Soccer City and The Calabash, is the largest stadium in Africa with a capacity of about 95,000 seats. It is located in Nasrec, next to Soweto, west of Johannesburg. 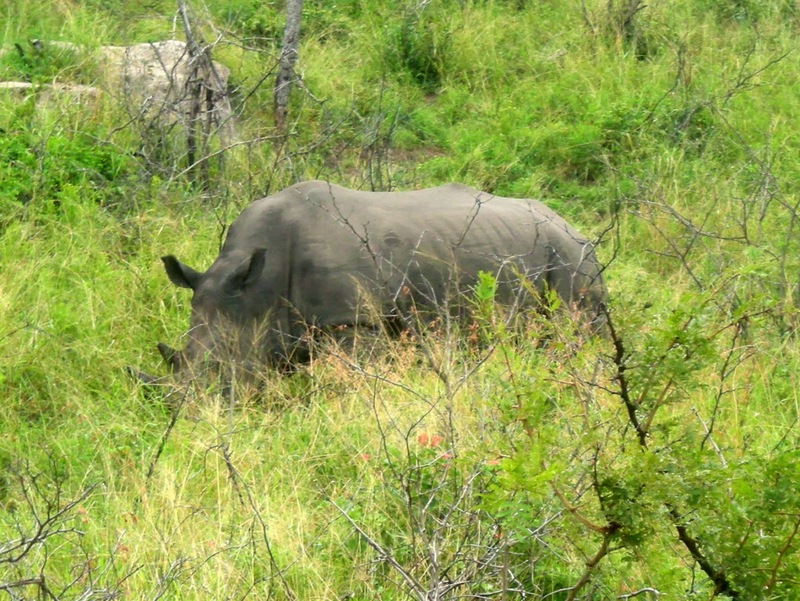 According to the latest statistics released by the Department of Environmental Affairs, South Africa has lost 790 rhinos to illegal poaching since the beginning of 2013. Of the rhinos poached, 476 rhinos were killed in the Kruger National Park, 87 in Limpopo, 76 in North West, 73 in KwaZulu-Natal, 68 in Mpumalanga, 4 in Gauteng and 3 in the Eastern Cape and in the Marakele National Park respectively. The total number of people facing rhino poaching-related charges in South Africa has increased to 259. The list above is probably missing some items. Let us know what you think is missing & we will add it! South African airline Airlink announced the introduction of new services on the routes from Johannesburg to Bloemfontein, Kimberley and Richards Bay effective 18th November 2013. According to Airlink, the new routes are in response to demand and will be operated at times suitable to satisfy the requirements of same-day returning travellers in both directions. Airlink is the largest independent regional airline in southern Africa. The airline services more than 30 destinations in Southern Africa, utilising a fleet of Jetstream 41 aircraft, ERJ 135 jet aircraft and BAe RJ85 aircraft. Airlink has code-sharing and schedule co-ordination agreements with South African Airways and SA Express. The government of Rwanda has started to cover Kigali with wireless hotspots and is planning to provide free WiFi coverage to all schools and public buildings, markets, bus stations and hotels in the city. The so-called "Smart Kigali" initiative is one of the ways Rwanda is trying to reinvent itself as a regional high tech hub. All a consumer needs to connect to the service in Kigali is a WiFi enabled device, such as a smartphone, a tablets or a laptop. According to the City of Kigali (21 Sept 2013), the free WiFi service in public places will initially be provided at Union Trade Center, Kigali City Tower, Kigali City Market, MTN Center, Nyabugogo Bus Park, Remera-Kisementi, Stade Amahoro, Kigali Public Library, Kanombe International Airport, KBC, Kacyiru Ministere, KIST and KIE. Internet connectivity at these sites will be powered by BSC Ltd, MTN Rwanda, TIGO Rwanda Ltd, AIRTEL, LIQUID Telecom and ISPA. Fifteen of Kigali Bus Services’ large buses have also been equipped with the free WiFi service. Mozambique has established a new National Park. Located on the southern banks of the giant Cahora Bassa Dam in the northwestern Tete Province, the Magoe National Park is covering 350,000ha and is home hippos, elephants, lions, leopards and the rare roan antelope. 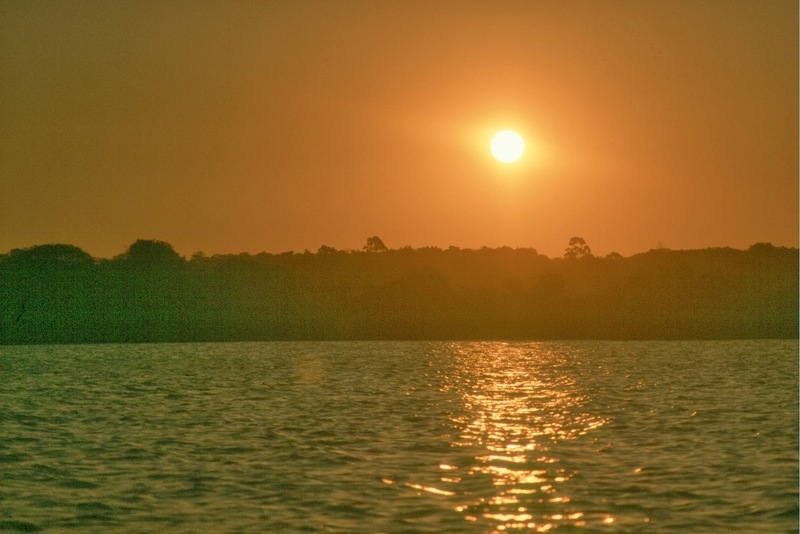 The Magoe National Park, which is not yet open to the public, is Mozambique's seventh National Park. South African coach service Greyhound started to introduce WiFi to their fleet of long-distance busses in Southern Africa. Data bundels can be bought from the crew onboard or online from the AcceleritWireless credit card portal. The service will be accessible from R20. The WiFi service on board the buses is compatible with WiFi enabled devices such as laptops, smartphones and tablets. The largest small group adventure travel company in the world, G Adventures, has announced its new trip line-up in Africa for 2014. The tour operator is going to introduce nine new trips, including trips to Mozambique and Rwanda. South Africa: Marakele National Park home to the "Big Five" again! 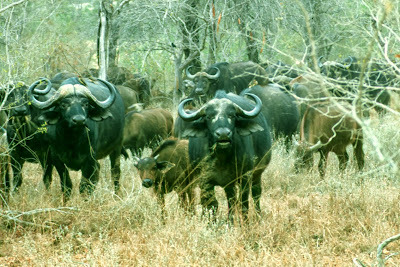 The Marakele National Park in Limpopo used to be home to the famous Big Five, but due to a disease called Theileriosis all buffalos in the Park had to be removed in 2009. About two years later, in 2011, a herd of 15 sentinel bulls got reintroduced to initiate a test to determine the disease prevalence in the area. These bulls were tested again in April 2013 and confirmed to be negative for Theileriosis, so that the quarantine status on the Marakele National Park got fully lifted. 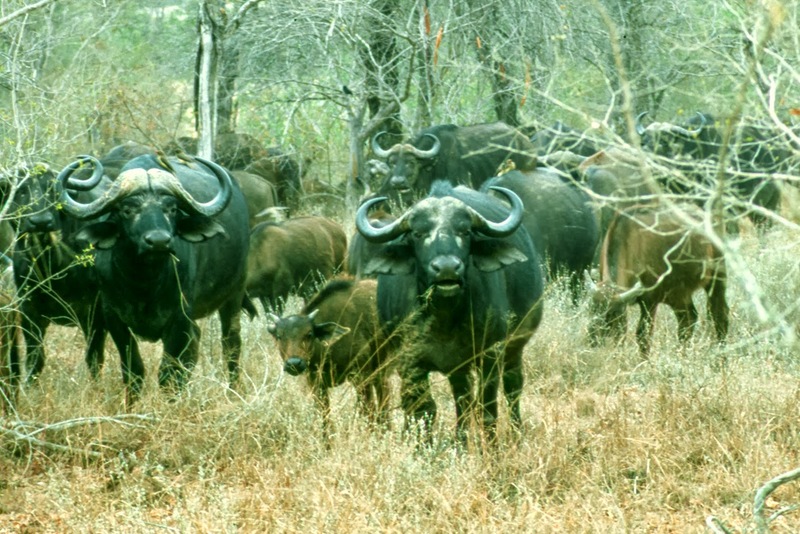 Another six month later, on 15 October 2013, South African National Parks (SANParks) re-introduced a herd of 20 disease free buffalo (nine cows and eleven bulls) into Marakele National Park, so that the Parks in now home to the Big Five again. The Marakele National Park is located in the Waterberg Biosphere in South Africa's Limpopo Province and covers about 670 square kilometres. The Park has two camp sites, namely Tlopi Tented Camp and Bontle Camping Site. Eight new tented units are currently constructed at Bontle Camping Site (scheduled to conclude on 30 September 2013?!?!). Google Street View is now available in Swaziland! The Southern African country of Swaziland recently became the fourth African country to receive Street View imagery on Google Maps, joining South Africa (2010), Botswana (2012) and Lesotho (2013). Enjoy exploring the country's roads, its great landscapes, National Parks and Game Reserves, such as the Mlilwane Wildlife Sanctuary and the Malolotja Nature Reserve, as well as Swaziland's main cities Mbabane and Manzini! Earthrise, a show on Al Jazeera covering all sorts of environmental issues, recently visited the Cheetah Conservation Fund (CCF) in Namibia to find out what it is done to save the cheetahs in the the Southwest African country. The show's host, Russell Beard, talks to the founder of the CCF, Laurie Marker, gets an inside view on the intiatives of the Fund and on what it is done to protect the mammal and its habitat through education, conservation, public policy, science and research. The Cheetah Conservation Fund is situated 44km from Otjiwarongo on the D2440. Windhoek is located about 3.5 hrs (by car) from the CCF; it also takes 3.5 hrs from Etosha's Namutoni Gate and 2.5hrs from the Okaukuejo Gate. The CCF is open daily, all year round, from 9am-5pm, except on Christmas day and reservations are not required for standard day tours. I just stumbled on a great teaser trailer for a documentary called "Terra Pesada" about heavy metal music in Mozambique. The film tells the story of young heavy metal musicians in Mozambique and their quest to make their voices heard. Leslie Bornstein, the filmmaker, and her team follow them at home, at school, hanging out with their friends, talking about music, politics, HIV/AIDS, the wars, what their lives are like now, the difficulties they face, their hopes, dreams, ambitions, aspirations, and of course there are rehearsals and concerts. TERRA PESADA from Wiley Flo Productions on Vimeo. Filmmaker Leslie Bornstein, a self-proclaimed metal aficionado, initially came to visit a friend in Mozambique. They went to a heavy metal concert in the outskirts of Maputo and thats how and when the idea to shoot a documentary about the heavy metal scene in the Southern African country was born. She visited Mozambique four times so far to film the documentary and has now launched a crowd-funding campaign to raise more funds to complete the postproduction of "Terra Pesada". Please check it out and support the project if you like it. For more information about the film and the ideas behind it, visit the website of "Terra Pesada" and/or contact Leslie. update (05 Nov 2014): Live coverage of the arrival of the Volvo Ocean Race yachts in Cape Town! update (05 Nov 2014): The Volvo Ocean Race yachts will be arriving in Cape Town today! update (04 Sept 2014): The boats are estimated to arrive in Cape Town between 02-06 Nov 2014. The Volvo Ocean Race Village will open on 01 Nov 2014. The in-port race will take place on 15 Nov 2014, while the start of the next leg (to Abu Dhabi) will be on 19 Nov 2014. 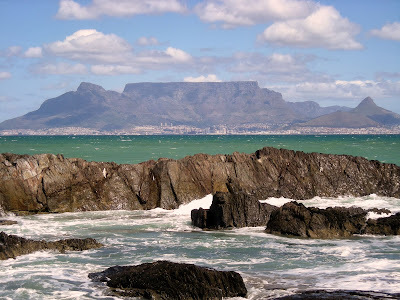 Cape Town in South Africa will stage the first stopover on the 2014/15 route of the Volvo Ocean Race. The boats participating in the famous round-the-world yacht race are expected in Cape Town at the end of October and beginning of November 2014. The yachts will sail an In-Port Race on the weekend of the 15 November 2014, before they will restart the race on 19 November 2014. The 12th Volvo Ocean Race already started on 04 October 2014, the day of the first In-Port Race in Alicante, Spain, and will finish with one last In-Port Race on 27 June 2015 in Gothenburg in Sweden. The stopovers along the 39,379-nautical mile route also include Abu Dhabi (UAE), Sanya (China), Auckland (New Zealand), Itajaí (Brazil), Newport (Rhode Island, US), Lisbon (Portugal) and Lorient (France). Cape Town first appeared on the Volvo Ocean Race route in 1973-74, in the inaugural edition of what was then the Whitbread Round the World Race. The Mother City was so far a stopover in 10 ot of 12 editions of the famous yacht race. According to Fastjet's CEO Ed Winter, the South African Department of Transport (DoT) has completed its review of the additional documents it requested, so that the pan-African low-cost airline Fastjet can now launch its service between Dar Es Salaam (Tanzania) and Johannesburg in South Africa. The airline plans to take off on 18 October 2013, initially operating three times a week on Mondays, Wednesdays and Fridays. The launch date was originally scheduled to be on 27 Sept 2013.